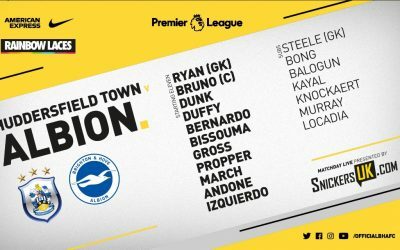 Florin Andone makes his full Albion debut today and Solly March and Yves Bissouma come into the midfield. Leon Balogun returns to the bench. Albion are currently 12th in the Premier League.